Delhivery has become the first Indian logistics company to enter the coveted unicorn club (companies valued over $1 billion) after SoftBank invested $413 million from its Vision Fund into the company on Sunday. Valuing the delivery firm at close to $2 billion, SoftBank picked a massive 22.4 per cent stake. According to sources in the company, this stake buy gives SoftBank a seat on the board of Delhivery. This would help the Japanese major use Delhivery in its grand plans of creating a bigger logistics network for cab aggregating major Uber as well as Paytm. “A strong logistics player is what SoftBank needed. Uber plans to get into delivery of groceries as well as start a concierge service. Paytm has been looking for a partner as well for its e-commerce play. Delhivery can help both the firms as SoftBank would to an extent call the shots in the company,” said a source close to Delhivery. In February, the Competition Commission of India gave SoftBank the approval to buy 22.44 per cent stake on a fully-diluted basis. With these funds, Delhivery plans to rapidly scale up its reach from 15,000 pin codes to 20,000 by the June quarter of 2019-20. The firm said it would also aggressively grow e-commerce market share investment and expand its end-to-end supply chain platform to enterprise customers and SMEs. Private equity firm Carlyle Group and Chinese conglomerate Fosun International, both existing investors in Delhivery, also participated in the latest round of financing. The company, whose investors include Tiger Global Management, Nexus Venture Partners and Times Internet, was founded in 2011 by Mohit Tandon, Sahil Barua, Bhavesh Manglani, Kapil Bharati, and Suraj Saharan. “We will be scaling up our newer warehousing and freight services through large investments in infrastructure and technology and global partnerships in addition to improving the reach, reliability and efficiency of our transportation operations,” Sahil Barua, chief executive of Delhivery, said. The company was, till recently, planning to launch an IPO, but experts believe those plans would be put on the backburner. “More funds mean that the company would be going for hyper expansion now and burn a lot of cash. They will get into new areas, lease more warehousing and logistics space as well as increase the head count on the ground. All this means at least for the next 3-4 years Delhivery would not go for an IPO. That is how it happens. Flipkart, Policy Bazaar, were all talking about IPO exits before SoftBank put money into these firms,” said a source who was till recently part of Delhivery’s senior management. SoftBank will also ensure a lion’s share of Delivery’s resources is used to work closely with the other firms SoftBank has invested in. “Any company where logistics play a role, SoftBank will use the expertise Delhivery has. Uber has been trying on its own to expand UberEats and plans to get into new verticals such as grocery delivery and concierge service this year. While Uber has a lot of local data, it does not have the hyperlocal capabilities Delhivery has. This fund infusion would help Uber get that expertise,” the source said. Delhivery claims it is growing at 65 per cent since FY15. 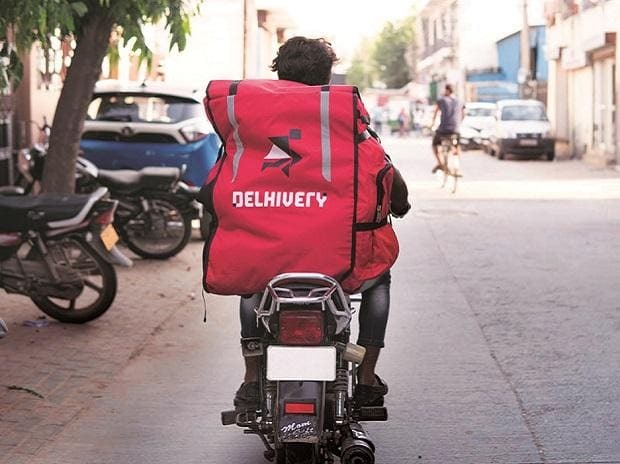 “Almost one in four packages ordered online in India go through Delhivery’s network, which accounts for more than 500,000 parcels a day and over 450 million transactions to date,” the company said.